Here is a story from the 1941 Alaska Miner..
Can a porcupine actually throw his quills or not?? I have yet to see a porcupine on the Chase. I did see a Big Horn sheep though at Earthquake Lake licking the road last week. Hi Road Hawk, that sheep was licking the road?!! That’s funny, I wonder why? Yes, Forrest, you have to watch out for those bananas. Licking the salt from the side of the road after the snowstorms they’ve had. Wikipedia has a good description about Mineral Lick. That’s my guess on why that sheep was on the roadway for Salt deposits. I wonder if that Big Horn would find licking the Blaze fulfilling? In regards to cactus and porcupines, I believe it best to let sleeping dogs lie. It’s a slippery slope if you intentionally provoke an encounter with either. Cactus . . . check! I have never encountered one of those odd creatures. I have seen what looks like porcupine damage on pine trees around West Yellowstone. I hope I never have to eat one. Someone said they taste like kerosene. Ha ha…years ago my horse was hit in the muzzle with porky quills, I still have them. Castus. That’s a great name. Ha ha! That reminds me! One time hiking in the mountains, I came across a porky. I thought it would be fun to have my hat full of porky quills, so I threw my hat at him. He filled it full of quills alright, but the hat stuck to his tail, and up a tree he went. So not only did I get no quills, but lost my hat as well! That little stinker showed me! Oh my gosh, I love the sounds coming from Teddy! I also like the sounds that Teddy makes when he’s eating. It’s interesting to read about the behavior of porcupines. I read here that they can’t actually throw their quills. They have to make physical contact. I bet they get really sluggish, too, when the temperature is below freezing…but it’s better not to take a chance by walking right up to them. That’s not very smart. 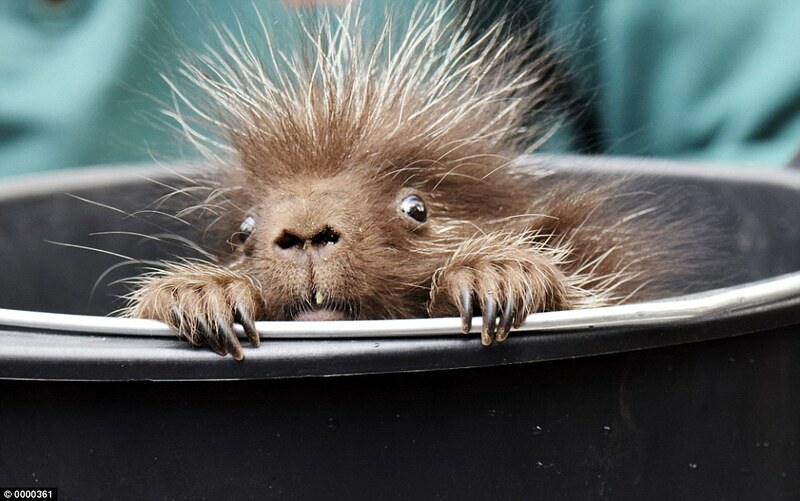 I mean…the porcupine that you THINK is sluggish and cold might have just finished running from a mountain lion and is in no mood to carry on a peaceful face-to-face “conversation”. Well I can see this is going to be a prickly post. He’s always trying to stir up trouble……It’s totally obvious now he wants the chest found soon by giving its’ location away. The chest is located in a porky pine tree in West Yellowstone. Fire up the truck I have to beat Iron Will to it. HA! I learned what a Montana Banana is today. I never knew. I do know about the Montana Banana Belt. Bananas don’t grow on trees. They’re herbs, actually. Bananas are considered a fruit as well. Commercial growing of Bananas made their seeds smaller and sterile… The fruit still come from a flower, not unlike tomatoes, yet the woody spine of that plant is not actually a tree. Sooo. The moral of the story?… There are a bunch of fruits we shouldn’t play with… Just kick one and you’ll see why. Seeker, are you saying tomatoes don’t come from the flowers? I’m not sure if I read your post correctly. Tomatoes now?!? I need to catch up. Of course there is!!! This page has been talked about over & over &over again…Actually there are a couple of hints there, just like on page 57 where it says a certain word (cave) that is written in a bush on the side of the road. Honestly though JD, there are hints (clues) in almost everyone of the artist renditions. Good luck and keep kicking it…. I’m glad I didn’t know how bad bananas are; I like banana sandwiches with fresh bread. It’s a wonder I’ve lived this long. I am allergic to latex, you also should include avocados and kiwi in the warning. Doesn’t mean we will react, but we might. So if a Porcupine is your best friend is it your PFF instead of your BFF? This morning when I stumbled across this post I went out and invented a new form of exercise called “laugher jogging” this am because I couldn’t stop laughing at this one. Thank you Bff and friends. fabulous monster with the body of a lion, head of a man, porcupine quills, and tail or sting of a scorpion, c. 1300, from Latin manticora, from Greek mantikhoras, corruption of martikhoras, perhaps from Iranian compound *mar-tiya-khvara “man-eater;” first element represented by Old Persian maritya- “man” (from PIE *mar-t-yo-, from *mer- “to die,” thus “mortal, human;” see mortal (adj. )); second element by Old Persian kvar- “to eat,” from PIE root *swel- (1) “to eat, drink” (see swallow (v.)). Wear gloves everyone!! WEAR GLOVES!! Well Jonsey some say I am the Manticore. Did you know Castus is a Latin adjective meaning “morally pure, guiltless, pure, chaste, pious”? I thought your comment was a playful jab at me, so I said mine back. My bad. I’m sorry. I apologize if I upset you. Id rather read your comments than mine. If that means anything. ?? no jab intended…was just trying to be punny. Didn’t mean to distract from your post. Sry if you feel that’s what I did. I think he substituted an S for a C.
Our Mayor, Jordan Foss absolutely loves bananas. He’s always eating one. He recently announced hid bid for re-election. He chose the slogan “Foss For Us”. I’m not sure why. I still find bananas very appeeling. I saw this banana picture and thought it would go well with the above video. This is cute, too. If she doesn’t “feel like” going to bed…all she has to do is curl up into a ball…where she will fall asleep. That is quite a pointed apology. It is probably made by a person with a sharp wit. It is mean to kick sleeping porkies out of the way. So should we let them lie or let them lay? Seemed both deep and up-to-date. Mined a million there last year. Now I’m curious about porcupines. (making a mental note to do some research later today). On Sunday, our family was at a motel in Niagara Falls. Early in the morning, I went to the breakfast area for coffee and, coming around the corner into the room, was walking toward ne of the staff, who was carrying a banana. She pointed it at me and (jokingly, I hope) made a POW sound. That is the most dangerous banana I’ve been around lately. Next time I saw her, she was carrying an orange, and I told her I felt safer. While looking for more information, this was the first page I found, too. I see what you’re saying, Forrest. But what if those porcupines are awake and swinging their tail with a vengeance and their barbs are hurting innocent people? Does one run away from the porkies, or maybe find a good defense? Or maybe sing them a lullaby to lure them back to sleep? I think I know the answer. Thanks, Forrest. Oh yeah, and I forgot to add about the other part…After plucking out the quills and taking the higher road, one can sit at the top of a high hill and watch those porkies slip on all the banana peels they’ve grabbed. Mindy…I wouldn’t buy into this man’s bogus press release. The porcupine didn’t attack his innocent other foot. Lol, jonesy. I honestly didn’t read the newspaper part, just what F wrote. I’ll take a look. Still, lessons to be learned for everyone, me included. I don’t think this post has anything at all to do with porcupines. I think he heard you! Oh I get it now. This Scrapbook has nothing to do with the fact that the banana and the porcupine are both, geographically, in close proximity to the hidey spot. But has everything to do with one particular Searcher who everything is always about. And seems to be the only one who “sees what you’re saying”. Who’d a thunk it! Again, and again, and again. Ridiculous! Here, I’m handing out the stones. Anyone else want a free throw? Nope, this is about what I heard me and myself tell I this morning as me, myself, and I were conversing with Forrest in our little box of a brain. We “sees what you’re saying” I. Hence the again, and again, and again. One for each of me, myself, and I.
I do see you used similar words though. But yeah it was all about me, myself, and I. Don’t get me started on the judging though. Me, myself, and I are constantly doing that to each other and that porky ain’t got nothing compared to their barbs. Think I’m going to send Castus a formal invitation to join me, myself, and I for a tea party. Like in the olden days. When letters, and tea parties were so formal and fun. I noticed, too. The three “egos” which was mentioned in previous discussions. You’re right Ramona; this is obviously a coded message. I was wrong earlier, it’s not in a fat pine tree. Novitiate: the period or state of being a novice, especially in a religious order. a place housing religious novices. Precipitately: to hasten the occurrence of; bring about prematurely, hastily, or suddenly. Blunderingly: To make a mistake. To move clumsily or haltingly. This is a warning, someone out there is messing with something they shouldn’t. Dark forces are afoot this Hallows’ Eve. Approaching the chest without proper reverence will bring about painful results. NO WAIT! ; forget all that. In an instance of pure geniousocity I figured it out. Notice the column of characters to the left of the article. This is the enigma code to be used on the matrix . I can’t divulge the formulation of the matrix until I retrieve the chest…….I’m on my way. For the love of all things good goofy SHHHHHHHHHHHHHHHHHHHHH!!!!! what are you saying ramona? OOPS! My bad. I was talking about myself. Forrest speaks directly to me and I’m the only one who understands…maybe. I hope so. Who knows? I have kicked a porcupine. Let’s just say it is not the smartest thing to do. I have got all the quills out, but the pain is still there. But I can not stop thinking about the horrible pain that I caused for the porcupine. I need to get back in the saddle, find that porcupine, and apologize for the pain I have caused to him. Maybe I should offer him a banana as an apology gift, I have plenty to share. To celebrate SB #161 I had a bowl of cornflakes with bananas, and used a porcupine quill as a toothpick after the meal. I once peeled a banana to find it already sliced. They used a needle at the corners of the banana to pull the thread through to covertly make each slice. Gosh, I can’t see how they did that, even how you described it. I pulled that trick a few times…long ago. I think that was way back when I was a boy scout. I read about it and saw how to do it in Boy’s Life magazine. Pretty sure. My bananas must be inferior. They don’t have corners. They have ends and a middle. Am I buying the wrong kind of banana…help!! Pretty cool. I vaguely remember that comic strip. Thanks for posting. Hope you have time to read the article and enjoy the character descriptions, a lot, A LOT, reflects this Chase. PS,Mindy, Flexible = chocolate or vanilla, either/or, flip a coin. Those darn quills, they can hurt!!! You may be right Jeremy, porcupines are a delicacy in Vietnam. Find the headstone of a famous porcupine and there lies the chest. Learned something new today. Apparently they like them so much they’re endangered. Went to a burgoo festival years ago in GA, …. stew with mixed meats, rabbit, squirrel, chicken, duck, beef, and rodenty things. Called it ‘vittles’ but spelled it victuals.. Sounds like a real blast, OS2. Yes—either that or they are going to have to “split” the treasure with someone. But this scrapbook has me kinda of thinking, to be careful of who’s advice you take it might not always be fruitful. You gotta be careful which Who you listen to. Take it from Horton. It could be a blessing or a curse. I really don’t think anyone has “slipped on a banana”–I don’t think that is the meaning of the scrapbook. Just my opinion of course. “Hey Thparrow, I hear ya been thlippin’ on banana peelth lately”. Spike: “Ha, Ha (chomp), Ha!” -then he hung up the phone. It’s amazing how many different people read these blogs. Whoa….I don’t mean to point any bananas….I mean fingers…..but anyone seen Ken’s chipmunk near a payphone lately? I hear they’re closely related to guinea pigs…who are related to groundhogs….could be a conspiracy? Maybe ask goofy-san. I hear hes an Oracle. That song might be about me. But what’s vanity got to do with it? You so vain, you probably think this scrapbook is about you…. Nice! I’ve only been here 3 months. I guess when I get to having a couple of years under my belt with no treasure in hand I’ll have enough wisdom and knowledge to make 15 paragraph posts that lead nowhere. I’m just not “there” yet. Give me some time. Patience Grasshopper. It takes time to acquire the wisdom of the elders. When you run after what you think you want your days are a furnace of stress and anxiety; if you sit in your own place of patience what you need flows to you. “if you sit in your own place of patience what you need flows to you”. I’ve read a little about inertia and a lot about sleep deprivation. Rio Puerco. And a connection to mud. Perhaps if Ricardo Montalban or Erica Estrada Wrote Fenns poem ,you would have a much better chance at the solve . Considering that Mr fenn is American as Apple pie and is home smoking TATANKAS pipe…..why is it you have the fascination of converting everything into Espanol …??? Focus your efforts on the first stanza…..You need to know where to start !! ¿Cómo se dice racista en Inglés? Creo que decimos “Mikem”. … and a connection to Scrapbook 123. But where are my manners? Jonsey1, help me out here! I’m drowning in ignorance and need your help. Did you know you can split a peeled banana lengthwise in three pieces? After thinking about this Scrapbook, perhaps I ought to take a banana with me for protection as I shoot photos in the mountains tomorrow, just in case. Congratulations, Mr. Fenn. Much gratitude. It only took one search party, maybe two parties, 1.5 years to figure out the first two clues and get within several hundred feet of the prize. And 4.5 years since then, maybe someone might have made progress on clues 3 and 4… maybe more since f mentioned it… or maybe we are still just at two clues figured out; only f really knows. Watch out for the banana peel. Forrest,it is so nice to see you are still out there,somewhere,watching. YouTube has a few videos of porcupines eating bananas. Apparently they really like bananas quite a bit. when I was a kid,my mom used kerosene in the lamps made of glass and a wick,after lighting,you put the globe on and it lights up the house,we had two,now I got one and my sister has the other.I can’t imagine eating something that taste like kerosene,that stuff stinks.I will cherish that treasure from my mom,that lamp is old.I had banana trees in san Antonio,they got small bananas on them,when we cut them back in the fall,they are so full of water,all trees have water in them.but I don’t get where mr. forrest is going with the porcupine thing, quill,pen? pig pen.charlie brown its time for the great pumpkin.you guys have mad me laugh with this one.thanks I needed it.last 2 months they went up on my husbands cancer shot.now they want to go to the highest level,it grew more in 2 months.pray for us guys,i’m scared.i got to remember God knows what he is doing,and everything works out for those who love the lord,in his way ,not mine,for there is a purpose under heaven for everthing.he says don’t worry,but I’m human.my quill is full,i think this is about forrest fenns forest of family,new and old,past and present,lots of memories in the mind and heart,theres a place in my heartand yours,thats where we put our loved ones,so many of his words,secret,blaze,treasure,wood,brown, gold,title,its all the same thingI have been studing and writing all the time,time for alice to go down the rabbit hole,mr. forrest you been dreamin,like alice in wonderland.we all have wonderlands.got to shut up,love all you guys. My thoughts and prayers are with you and your husband for a successful outcome. You have friends here to lean on. You’re not alone. Prayed for you and your husband Virginia Diane. thank you pdenver,mensan,BW,OS2,,sl,,strawshadow, and all who is praying for my husband ,ralph your such a great family. Virginia, your husband is a fortunate man, having you in his life at a time of great need. I wish you strength and lots of laughter, and that all goes well for you and husband. Treasure hunting fantasies are happy relief when thoughts get heavy. TV & News is so often too ugly to watch. Your heartfelt message has been heard. Prayers will continue. Stay strong, our prayers are with you Virginia. I think there are plenty of hints in here, Diggin. It is a very cleverly written Scrapbook from the Master. But I agree, none of them will help you find the treasure. The pokey slippery bannana mess . Dal’s blog is number one in all things Fenn related, for sure…very few cases of barb slinging here. Hints and clues are where we choose to find them…relevant to the Chase, or not. Thus far, the Bronze box has remained hidden, just waiting for the right person to come along and pick it just like a bunch of yummy bananas! Good luck to ALL. Dals is a very good site, on a personal note he’s quite the character. A tease to say the least, the kind of guy that will sling you a kiss and never bat another eye. Can I borrow your brain for a few minutes? I agree with your interpretation, Diggin. But I do think you are missing some of the clues in the story – they are pretty subtle and cryptic. But again, I agree it has nothing to do with the hiding of the treasure and will not help anyone find it. I don’t get it. The scrapbook is about a man lying for attention. Porcupines don’t sleep in the road. The guy kicked a dead porcupine then ran to the press screaming like a moron that a dead porcupine shot him like a machine gun. Porcupines don’t even shoot quills….they smack their tail as a warning and then in fear, like goosebumps the quills search into whatever is kicking them and ignoring the warning. It’s like screaming to the press that a banana tripped someone….are you guys implying that F is secretly saying that someone is running around like a moron with stories of being attacked? Who would he even be talking about? The writer of the article clearly sees straight through the man’s story and is blatently laughing at him. I highly doubt F would be making fun of someone like that. Just doesn’t make sense to me. I do see people wanting to draw parallels to themselves…and that logic can twist anything into anything….I just don’t see one single piece of anything anywhere in this post that suggests the porky should not have left quills in the man’s foot….therefore I can’t see any parallel to it being a lecture about not throwing quills. Just IMO, not making ANY judgements on throwing stones in general, only that this specific post is about a very very ignorant man whose pointing fingers to deflect from his own wrong doings. The porcupine is not to blame. IMO, only a fool would kick a porcupine, dead or alive. The porcupine, I mean. 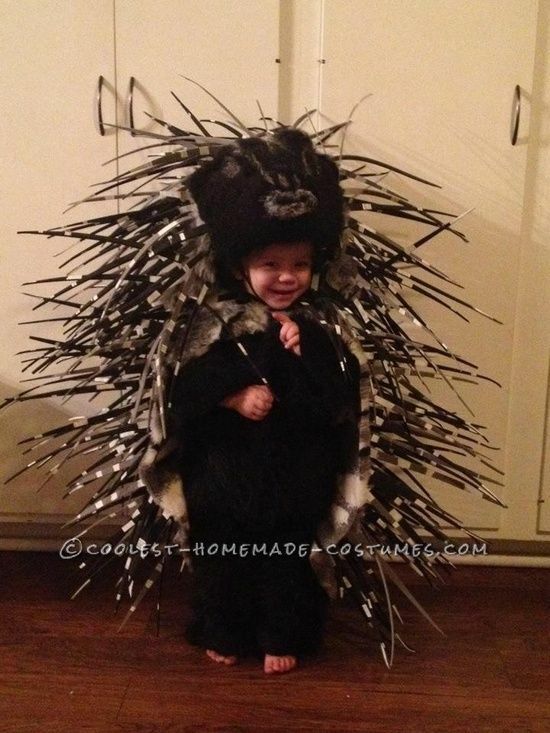 The theme, IMO, is not to go kicking those poor porcupines in the first place. Folks aught to leave each other alone. I totally agree. I got confused by your first post saying porcupines were attacking innocent people, and was just hoping you noticed the article was about not running around kicking innocent dead porcupines and then claiming one was attacked when the proverbial quill was in the other foot. That’s all I’m saying. I don’t think this post was about “not throwing quills” and I don’t see that even implyed in any way shape or form in and way in the post. Is it a good idea not to throw quills? Certainly. However I personally believe drawing a parallel to it being a warning about quill throwing absolutely in left field. The only one ‘warning about machine gun shooting dead porky” is the ignorant mad causing drama then calling the press for attention. The press sure gave it to him. Right at the angle they should have. I wouldn’t dismiss the whole thing. Sure, ff will not ever give a hint to places, much less coordinates, so we can easily find the treasure chest but he maybe hinting at how to read the poem. If anything, the takeaway I got from this scrapbook is the same from others. The analogies he uses to describe one thing with another. In this case, how the skin on the porky is loose from its flesh by using the banana/peeling example. That will not be my choice to explain the same but he did, and it worked for him to finish it with humor. Many believe that is the case and some of the terms on the poem are not to be taken at face value but it may be generic descriptions of something completely different. Oz10 This is strictly regarding people throwing quills at each other No hints what so ever in this scrapbook Dont rack your brain thinking on this one . Thank you for the link, SL. I’ve enjoyed reading the story. I’ve tried searching Porcupine Creek and currently found one in Alaska. Perhaps there’s more than I’m not aware of. They’ll be no paddle up your creek. Ugh! Darn fingers. There’ll be no paddle up your creek. I had no idea he loved the area. I don’t believe it’s stated in any of his books. Not that I remember anyways. When you said , ‘He loved alot of places he don’t talk about U gotta find them’, did you find them in the books or did you ask? Have to clarify. I know of the obvious places he loves, West Yellowstone/Yellowstone, New Mexico, and Wyoming. Don’t recall if I’ve read anything about Colorado, yet, I can’t see this state wouldn’t be considered. I’m sure his family traveled through Colorado heading to Yellowstone/West Yellowstone and possibly stayed the night to continue through. Not sure if his father would have traveled straight through, although, not impossible. Thank you, Diggin gypsy. I appreciate your help. Thank you, Diggin gypsy. I don’t remember Beaver Creek very well. I’ve probably been there. I’m sure it’s a beautiful area. close to a place where I saw trees that had been felled by beavers. Thanks, Oz10 – Kinda figured that one out, yet still thought it to be beautiful country. Porcupine titled Creek(s), however prevalent, are indeed scattered throughout N. Rocky Mountain Ranges. (Wyoming, Montana and so forth ). I’ve truly enjoyed ‘visiting’ the places I’ve been to during TTOTC. Maybe ff is making a humorous comment about a prickly grammar problem … LAY v. LIE … which all has to do with whatever is ‘it”. I’m too old to learn rules now. ” to go lie down” and my wife always corrects me and says it’s “lay down”. A dictionary is supposed to be a friend. Please don’t fear it. Cassius Clay, I float like a butterfly and sting like a Bee. Took a hard line against the Vietnam War. Have you read a My War For Me? I like my imagination today. Maybe Forrest will give me some credit? Bees 🙁 another example of tempting nature and losing percentages. Talk about capital. I like your imagination today. 🙂 If F forgets to give you credit I will certainly offer some. I feel loved. Thank you! Sounds like mr. Forrest is being cactus pete and lefty.drank to much dairy brand milk from his tin cup. Careful use the bell not the knocker and leave Mr. Cranston with that that man. A couple of factors not mentioned are critical to knowing. The position of the porcupine in relation to where he was standing and the angle of the leg upon impact. He might be a fortunate soul having not been impaled elsewhere. My experience with them is my bird dog twice got a muzzle full. 162, on Nov.15, There is proof there, right out of the poem. Just a thought but is the hidden message here AK-47? Machine gun referenced then banana which is the clip. The story has Alaska and kick for repeated words (ak). Abriviation for Alaska is AK and the lines in question have 46 letters each which is close. If I’m right why is the question. IMO there are several indirect (tangent) hints in this SB and when interpreted correctly will be one of the many strings leading to the solve. F is not scolding, castigating, or accusing anybody of anything. He is making a concentrated effort to get folks back on track and pointed towards the right direction. Why else do you think he’s made at least 2 references to pigs, directly and indirectly in SB posts. Think of it as the corner or edge piece in a huge picture puzzle you look for to get started. Then build on the puzzle from there. One thing leads to the next and you begin to develop a working theory. Then suddenly it all starts to really make sense. You go back over prior SB posts and realize that Forrest’s posts actually begin making more sense than ever before, hopefully adding confirmation to the theory, further supporting your solve. Think big picture…….open your mind, like the cupboards and drawers in his bathroom. If you were a guest in his house, you would not know what’s inside until you open them up. I’d really like to offer more evidence to convince you, but doing so would only serve to undermine and compromise my theory and area of focus. Hope you folks understand. When I was 12 in Tucson I was riding my bike in the nighborhodd and started racing against a car that was fast approaching from the rear. I could hear it grumble on the rough blacktop and I was determined, neck bent for leather, to beat it to the corner fire station two blocks away. As it passed, a good three seconds later, I must have subconsciously drifted my monkey ride sideways, cause the next thing I remember is waking up at the sight of a bright blue sky gently slumbering in a ginormous patch of prickly pear cactus. My right bicycle pedal had somehow caught the too tall curb separating urbanity from the desert surround and launched me, rear-end over teakettle, over my beautifully polished chrome handle bars and flipped me feet first into the green goblin. I was stapled to my fleshy bed of nails and couldn’t move. An ambulance casually showed up, the med evac guys eventually lifted me off the spire of needles and slowly hauled me off to TMC. Someone peeled me like a porcupune and I spent the next four hours on a Gurney in my underwear as 2 very cute nurses laughed and proceeded to pluck about 10,000 needles out of my red-pimpled hide. I remember I got very light headed and thought for sure I was going to throw up, though I never did. I soaked in a hot tub every night for the next week, and after every bath there were thousands of prickly little spurs bobbing in the water when I got out. I looked like I had London Bridge Is Falling Down Fever and German Measles all at the same time. That was the second time in three summers that a down-wounded power pedal and an overly zealous brick of concrete sidewalk dressing conspired to deliver me to the Moon and ruin my once promising Apollonion Mug – and only the second in four times that a self-propelled launch vehicle tried to end my degree in rocketry and astronautic reverse re- entry ..
“Holy porcupines and bananas Batman! Where do you think that chest is hidden!!?? Stop – stand still…do not bend over to pet a pork u pine…fatherly wisdom. I wonder if F hid the loot in a banana store – my job is to find it. I don’t care if Batman thinks it’s blustery outside…maybe only Anne Oakley knows. My bias still lays claim to Booth Creek Canyon – Madison MT. Sounds like when he kicked the porcupine ,the quills that got the kick .he knocked them loose so he must of been close ,so it went to the other leg also. Porcupines don’t throw quills. I wish I could go to things like fennborree, but I don’t have those types of funds. I think it would be nice to meet you. gives OMG a whole new perspective !! your question reminds me of something I coincidentally just happened to tell my buddy on the phone just now.. I was telling him that I was interested in eventually getting a VANITY number from Google..
the way it relates for me.. I am confident that not only does it have meaning for me..
but it has meaning for AT MIN, 1 other.. I am not purposely trying to conceal myself.. i mean.. it’s out there.. and there’s every chance in the world that it others could get the meaning as I composed it in my mind.. and if they do.. how awesome is that! remember.. if f openly advised that a butterfly, with a little twist (of lemon maybe? LOL), is easily justified in simultaneously being a flutterby..
was that a frown? a frown upside down? or.. by applying a different rule as I choose to compose with.. is it just my eye looking back at you? I emphasized VANITY because.. although I may intend a meaning from myself to at least one other.. I cannot stress this enough>IMO.. It may not be cryptic to you, but JDA wanted to know what you were saying, I’m asking also. Your being evasive and cryptic, besides everyone should be included in understanding what you are saying. What does, OO, WD40, RMP, See TP, PF C, TOP each mean? not sure when i’ll hear back from you, but jsyk.. i’m running to pick someone up from work.. back in an hour..
Should phone texting anagrams be used here? Just curious. Once someone in moderation seems to have gotten over whatever the issue was that put them in moderation I tend to unmoderated them and their comments, once again, post as soon as they send them.. If folks in moderation continue to not follow rules or get weird, I ban them…which means their comments go straight to the trash…. I think most here have been in moderation at one time or another. I love it because it stops me from saying what I really want to say. OO and WD40: for this one, I will borrow from a quote that i recently used since it touches on both.. as with any of my answers, let me know if you need further clarification..
OO is “double O” here.. which shows that OO (or 00 for that matter), visually and with imagination, represents a pair of eyes looking.. since I had them in isolation, it was my way of showing that I meant them in the visual sense. WD40 starts with WD.. using same visual rule, coupled with basic understanding of the quote, it indicates to me Window Dressing. so the next step is WD40.. it is my interpretation of ff’s stories that one subject matter does indeed involve “window dressing”.. one meaning of which would be that his stories, at least in one perspective, are to be considered window dressing.. it would be useful to perhaps Google “double entendre” for further clarification. so the 40.. my memory recalls that Miss Ford was “at least forty”.. therefore.. WD40, at least to me.. and I am confident at least to one other, is a way to say that I think Miss Ford is window dressing.. and to “undress” her deeper meaning as ff intended, meant that my imagination was “reasonably justified” in thinking that WD40 was one intended concept to arrive at. Now.. since i’m confident of the above.. coupled with the fact that ff is teaching us many things along the way with all of his stories.. my logic tells me WD40 should deduce the idea of lubrication.. put another way.. OIL..
so what would ff want my next deduction to be? I am confident that he wants me to think RPM.. remember.. every single letter or word conveyed by ff is going to be highly suspect of double entendres.. or more likely multiple entendres..
RMP: ok.. remember what ff said about butterfly and flutterby? they’re interchangeable.. apply that to RPM and you get RMP.. now hold that thought for a min.. i’ll come back to it below..
See TP: holding the “coded” words touched on so far.. WD40.. OIL.. RPM.. they all seem to be related.. well.. Miss Ford.. Ford is a car.. f was secretly in love with her.. another way of saying that..”she got his engine revving”.. is that a logical deduction? what else in TTOTC is related? Skippy’s helicopter? it couldn’t function without the engine.. and what was Skippy aiming for? gaining height, right? So now.. RMP is suddenly “attractive” because it looks like a RAMP.. what other engine was revving in TTOTC.. the jets? obviously jets don’t require ramps.. but consider the journey it takes down the runway.. when it lifts off, to an observer, it looks like it just jumped off a ramp.. ok.. so now let’s take it even deeper! can’t blame me to do that because, like i said, I highly suspect ff’s stories of having even more than only having two meanings.. next step.. since RMP was my last stop.. take RMP to Google (or Wikipedia..I find this excellent for possibly getting more to the point that f is trying to get me to than Google SOMETIMES) and what do you find? based on my continual investigation of The Chase.. much of what comes up has possible connections.. but that’s way to much for me to put out here.. that’s where it’s up to you to do your own investigation and come to you own conclusions that you are confident of. So now.. based on my investigations, I was led to STP.. like.. next STEP..
TOP: i’ll be brief on this since i’m running out of time.. wwwHALT.. STOP..
LOL.. next time CM.. i’ll ask first, if you want the short version or the long! posted. I hope they pleased someone.